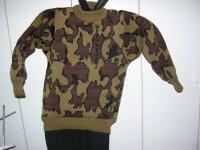 Knit Camouflage Sweat Style Pants These are like our cargo pants without all the pockets. 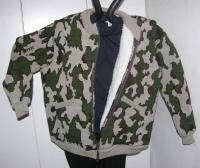 If you are going to wear them over other hunting layers order 1 SIZE LARGER. The style is selected to give a comfortable fit, with simplicity for easy wear and care. Each camo pants is individually hand loomed and assembled. It is NOT a mass produced item. We offer this pant under 'special order' so that you can select your size and color way to meet your hunting surroundings!. Check out the "Cargo Camo Pant" Style if you wish a pair of pants with pockets. "Features are Constructed to Meet the Needs of the Hunter"
2" Higher waistline in the Back. This is necessary for hunters to 'eliminate' the problem of pants 'riding low' when sitting and crouching for hunting positions. Waistband has elastic and a Knit Drawstring Cording; larger in diameter for strength and durability in holding up the weight of the knit fabric. Leg Hems also have the Knit Drawstring Cording for snugging the pant legs to the boots, excess cording after snug can be tucked inside the pant leg. Hand Wash Cold Water/Gentle and Lay Flat to Dry: (did you know that knit fiber containing wool will 'shrink or felt' in the spinning action of the washer with hot water?) Note: If you have a knit or delicate setting on your washer, you can machine wash: gentle, mild soap, no bleach, COLD water for all cycles! Then dry in the dryer for about 10 min. take out while still damp. reshape, and lay flat to dry. This is a faster drying method. 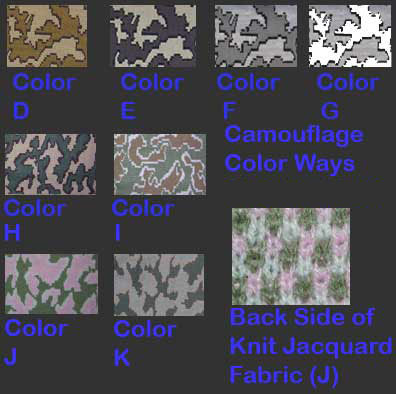 Colors: several color ways to chose from under OPTIONS BELOW. 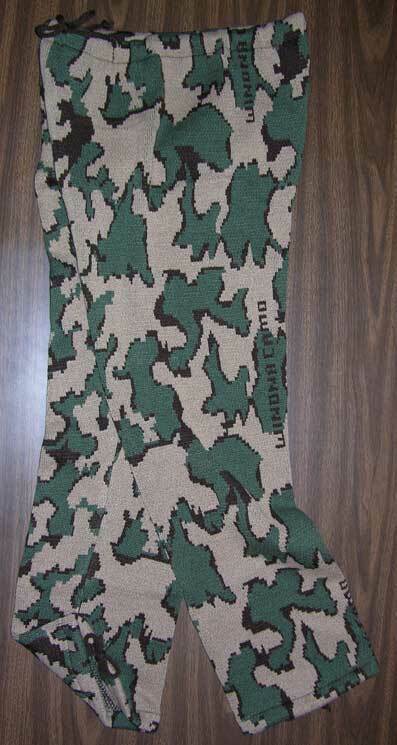 Click Here to see a View of some of the Merino Wool/ Acrylic Blend Camo Color Choices for these camouflage over sweat pants. Contact Customer Service if you have questions regarding what size to order and watch for our article on how to measure and size for different kinds of knit garments ~ coming soon. 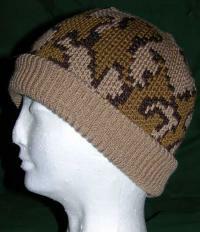 We try to complete these Custom Orders within two- four weeks. So Please order early. Pants are based on the Waist and the Inseam Measurement, To keep ordering simple, check our sizing chart and pick the size that corresponds to your actual waist and hip measurement. This would be the same waist measurement you use when you purchase pants. Then under options below fill in your desired inseam this might be shorter than the normal inseam you get when you purchase pants dependant upon how you wear over sweat pants. If you are in between sizes, select the larger size. If you fall into one size for the waist and a different size for the hip, we can adjust for this in your custom pattern. When you place your order, there is a place for "Comments" Tell us that in that section. For example A 37" waist is a Size Large. But a 46" Hip is a size XLarge. The standard inseam is given in the sizing chart. IF YOU WISH A DIFFERENT INSEAM, FILL IN THE INSEAM MEASUREMENT IN INCHES UNDER OPTIONS BELOW. 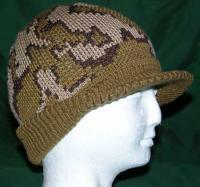 Different amount of 'Ease Factor's are used Dependant upon Style, Fabric, and Utilitarian Use of Garment. 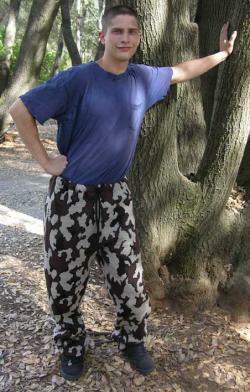 We have taken this into consideration for this style of Sweat Pant. This is approximately 3-4" larger then your actual measurements. If you prefer the oversized look with 6" larger than your actual measurements, OR IF YOU ARE GOING TO BE WEARING THIS OVER OTHER HUNTING LAYERS, order the next size larger. If you have any questions about selecting the correct size, please email me your actual waist, hip, and inseam measurements along with the pant size you normally wear, at customer service/contact us. I will email you back with your recommended size information. Thank you for examining our camouflage over pant made with the hunter in mind! Sewing Pattern: a variation of the pattern by © The Green Pepper, Inc. Submitted by Emailed in Review on Fri, 08/09/2013 - 20:45.